In the mid 1980s, Maria (Jang Jin-young) grows up in a quiet fishing village with Harry (Song Il-guk). Harry’s father died when a North Korean spy snuck into the country and shot him dead because he was an Army commander. Harry and his sister move to America after the incident. Maria’s family also migrate to America soon after and Maria’s father takes a job as a bus driver. While living happily in America, a mugger kills Maria’s father one day. Meanwhile, Harry meets Maria by coincidence. When his uncle sexually molests his sister Suzie, he decides to run away from home with his sister. [Exclusive] Song Il-gook possibly coming back with "Goblin"
With the new year less than a week away, the drama market merits a moment of reflection. The year 2008 proved to be a trying time for Korean dramas. Actress Jang Jin-yeong (34) has been admitted to a hospital after being diagnosed with stomach cancer. Cinematographer Baek Hong-jong, who shot the KBS documentary "Chamagodo", will be recognized by his peers in the industry with the Grand Prize in the Grime Awards. Song Il-gook "Decided on 'Lobbyist' since 'Jumong'"
View all 313 pictures for "Lobbyist"
How do i get a copy of the episode filmed in DC, I'm in it? mulan0630, Is this drama gud? wht's ur rating out of 10? Anyone cud rate this drama out of 10? 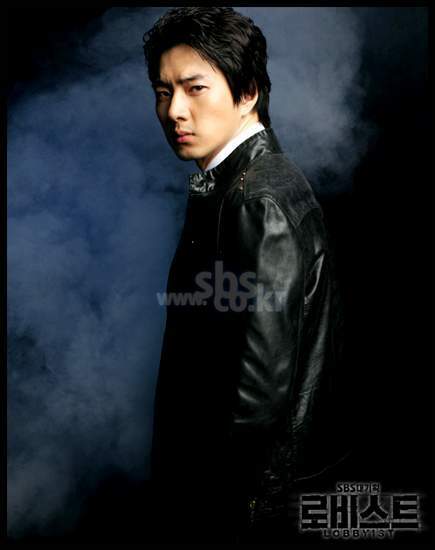 Song Il Gook You're one of the great actor in South Korea that's why I'm your avid fan. May God Bless you.